It’s been pretty quiet around these parts for a few years now, but that doesn’t mean we haven’t been playing games, raiding, or killing bosses. So, what have we been up to since you last heard from us? 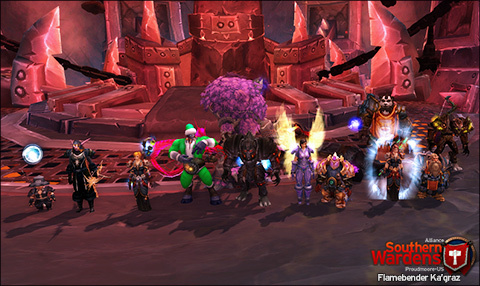 When last we updated, back in 2012, our WoW guild had cleared Dragon Soul on Normal and scored a number of Heroic kills and a pair of Legendary daggers, while our SWTOR guild had cleared all current content, culminating in Explosive Conflict. From here, our SWTOR guild chose The Path of The Casual, while our WoW raid team took a break ready for the next expansion. Many of us chose not to return to WoW for Mists of Pandaria, however, until news of Warlords of Draenor reignited plenty of interest and we cleared part of Siege of Orgrimmar to get back into the swing of raiding. 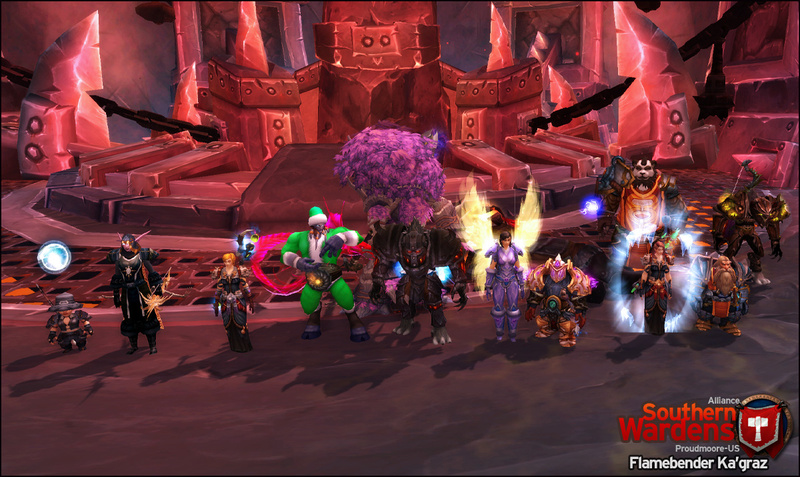 With the launch of Warlords of Draenor, Southern Wardens is back to the good old days! After our typically relaxed start to the expansion, we killed our way through Highmaul — although rather than fighting Imperator Margok we decided to move on to Blackrock Foundry, where there’s plenty of orc-y fun for everyone! We’re currently at 7/10 bosses down in BRF, having just polished off Operator Thogar this week before moving on to visit the Iron Maidens, and we’re looking forward to the upcoming Hellfire Citadel coming in Patch 6.2. If you’re looking for a friendly, relaxed raid group operating in Aussie peak times, why not drop us a line? With the glorious advent of flexible raid sizes and cross-realm raiding we’re always happy to welcome new Wardens. And if you’re an old Warden thinking about checking out WoW’s recent updates, we’d love to see you again!